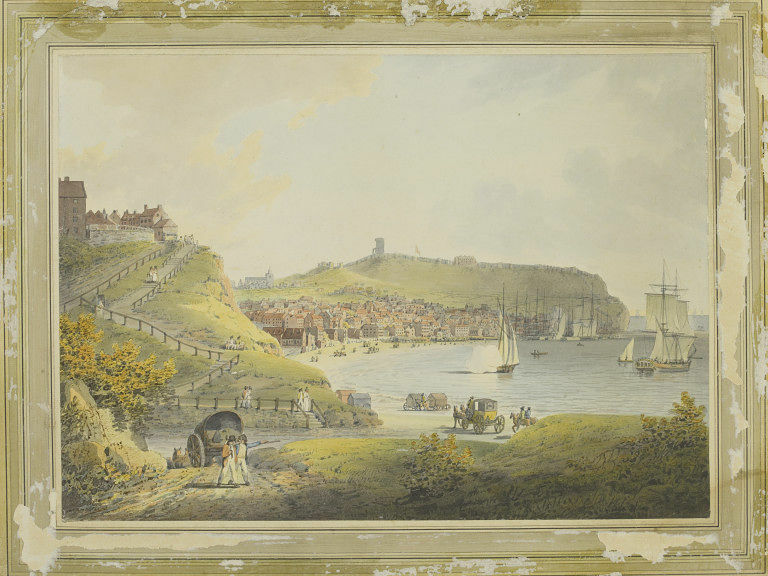 Watercolour depicting a view of Scarborough from the south. Signed by the artist. 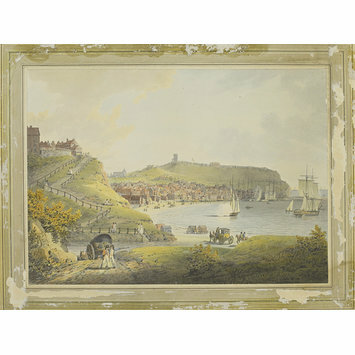 Watercolour by William Payne entitled 'Scarborough from the South'. Great Britain, ca. 1776-1830.